Or maybe you saw a picture of yourself, and you were surprised. “I didn’t realize I looked like that,” you may have said, thinking you look older than you thought. We’d all like to age as slowly as possible. To help you do just that, read on! One of the main factors in skin aging is collagen, and how much we have of it. Collagen is a protein found in skin and other connective tissues that gives skin its structure and shape. It acts as a building block, creating an underlying matrix that is strong and taut, and working with elastin (another protein) to help skin snap back after it’s stretched. Over time, however, the body produces less and less collagen. After the age of 20, we all make about one percent less collagen each year, and that loss tends to accelerate as we get into our 40s, 50s, and beyond. That means the skin becomes thinner and more fragile as we go. In addition, free radicals—destructive molecules that come from pollution, sun exposure, poor diet, stress, and exposure to toxins—damage the skin’s existing matrix, fragmenting the protein structures and weakening the skin. This is what causes that saggy, baggy appearance, and it also creates fine lines and wrinkles. Other changes occur with aging, too, that affect skin’s appearance. The production of elastin (which also helps give skin it’s snap-back) slows, as does the production of glycosaminoglycans (GAGs) that help keep skin hydrated. That causes the skin to lose shape and also to dry out more quickly. Changes in melanin (skin’s pigment) can also cause age spots and hyperpigmentation. Suddenly, skin looks rough, uneven, thin, saggy, and older. What can you do about all these changes that occur? Fortunately, there are three main steps you can take that can help slow aging on the skin. No matter how old you are, your skin has suffered damage. All the factors listed above—sun and pollution exposure, stress, poor diet, lack of exercise, little sleep, toxins—as well as using poor quality skin care products, can damage the skin enough to increase the appearance of aging. So the first thing you need to do is to heal and repair that damage. Sloughing off those dead skin cells helps new skin rise to the surface more quickly, which can make it look fresher and younger. Use natural fruit acids like glycolic, malic, and salicylic, or gentle clay scrubs that won’t damage or inflame skin, and use them as often as your skin will tolerate them. (From once a week to 3-4 times a week). Give the skin what it needs. If you’re using over-the-counter skin care products that you buy at the department store, you could be doing your skin more damage than good. Most of these contain ingredients made from petrolatum, which simply coat the skin without delivering the nutrients it needs, and can increase dryness over time. If you have extreme dryness, inflammation, and a damaged skin barrier, you want to give skin some extra TLC. Instead of using Aquaphor Healing Ointment, which contains petrolatum, mineral oil, and other “coating” ingredients; or Elizabeth Arden’s Eight-Hour Cream, which contains mineral oil, parabens, and fragrances; try our CV Skinlabs Restorative Skin Balm. It contains super moisturizing shea butter, natural oils like safflower and jojoba, vitamin E to help with healing, and carnauba and Bee’s wax, which safeguards the moisture barrier. Once you start the healing process, it’s time to help skin regenerate new, healthier cells. This requires stimulating new collagen production, and giving the skin nutrients that promote regeneration. Inflammation can quickly tear down any repair that you’ve completed on the skin, so you want to be sure that it doesn’t come creeping back. Inflammation can arise if you are under stress, eating an unhealthy diet, exposed to the sun, use harsh skin care products, and if you have skin conditions like eczema, psoriasis, and rosacea. Regularly using products that tame inflammation is a smart idea. When you’re going for a quick toner or a midday spritz of moisture, for example, instead of using Vaseline Spray and Go Moisturizer, which contains dimethicone and parabens (linked to breast cancer), use our Rescue + Relief Spray. It contains calming aloe vera, as well as valerian and comfrey which both provide anti-inflammatory benefits. It also contains our powerful Tri-Rescue Complex, which helps heal and protect skin. This is perhaps the most important step. If you’re repairing and regenerating the skin, but then you allow the sun, pollution, and other elements to damage it again, you’re efforts are all for naught. So make sure you’re using sunscreen (SPF 30 or higher), and that you’re using products that provide additional protection. These products should include vitamins and antioxidants that help neutralize free radicals and keep skin healthy. Instead of using Eucerin Soothing Repair Lotion, for example, which contains mineral oil and drying alcohols; or Fresh-Seaberry Restorative Body Cream, which contains dimethicone, fragrances, and other drying chemicals; try our CV Skinlabs Body Repair. It contains protective antioxidants like turmeric and rose hip oil, as well as vitamin E (a powerful antioxidant) and olive fruit oil (olive is also an antioxidant). Do you feel like your skin is aging quickly? Suzan Obagi, “Why does skin wrinkle with age? 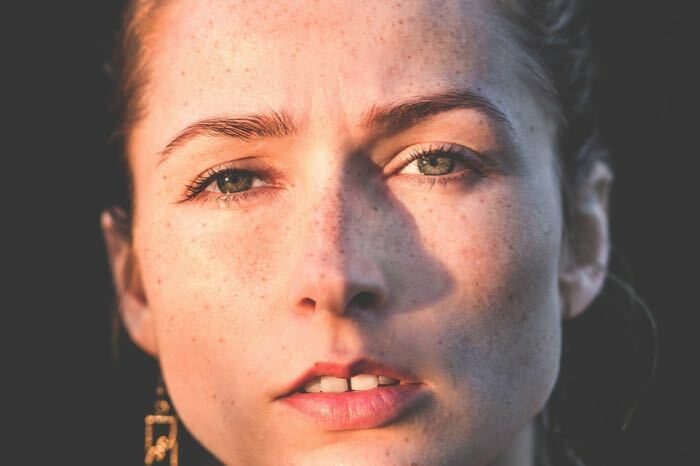 What is the best way to slow or prevent this process?” Scientific American, https://www.scientificamerican.com/article/why-does-skin-wrinkle-wit/.